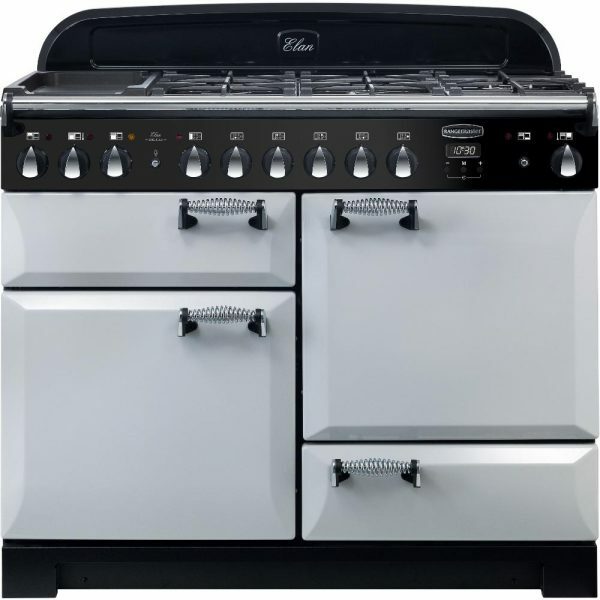 The Elan epitomises the traditional Rangemaster range cooker, combining distinctive looks with outstanding flexibility. The Elan models spiral handles, crafted control knobs and curvaceous doors that are all part of a classic design and great practicality. Two electric ovens, a separate glide-out grill and a five burner gas hob with ceramic warming zone.